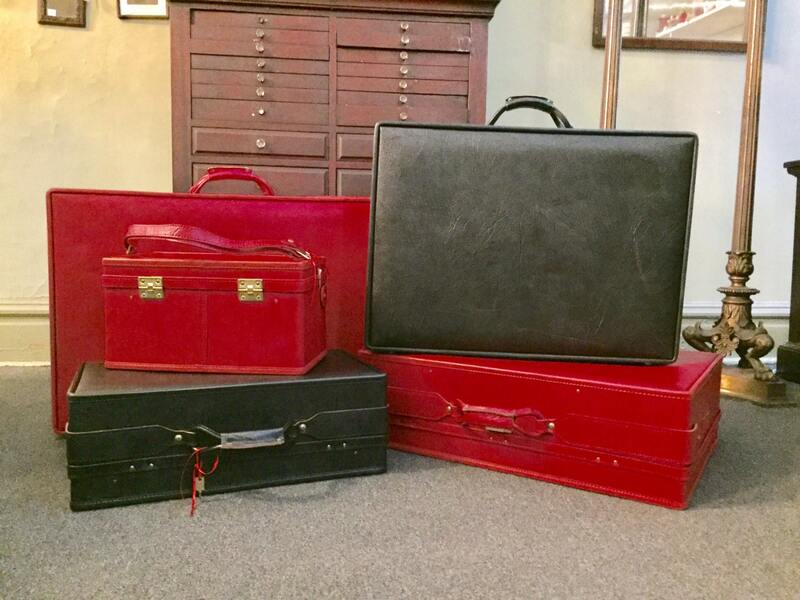 This listing is for one, Fabulous, Excellent Condition, Vintage, Hartmann Luggage, 1975, 5 Piece, Set, Black Leather, Red Leather, Retro Lining, Made In Lebannon Tennessee, With Keys, Ribbon Cloths Ties, Interior Elastic Pockets, Luggage. Comes with 2 sets of keys. All 5 of pieces come in there original boxes. Train case comes with the original mirror. Along with detachable cosmetic bag. 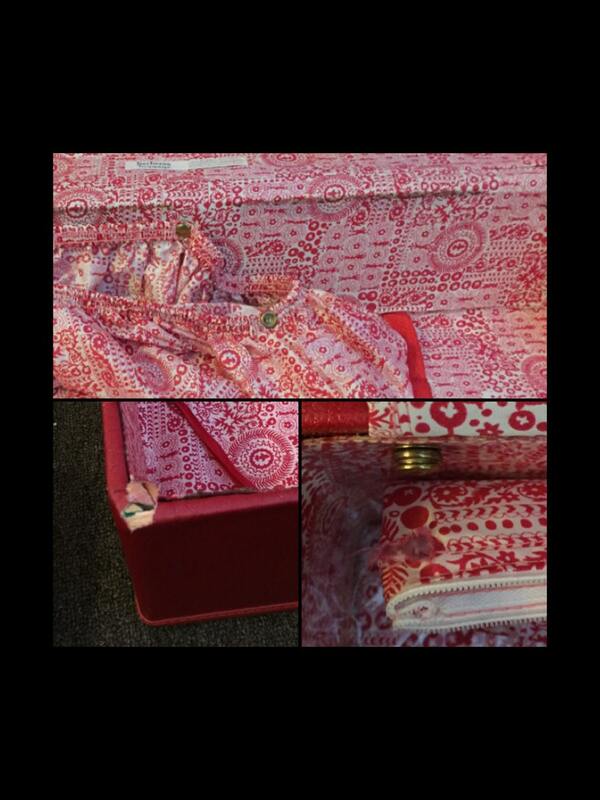 Train case also has adjustable straps. Set is in great vintage condition. Very clean, with no odor, or staining in the lining. The train case cosmetic bag has been ripped from the snap, on one side. The large red piece of luggage has a tear in the leather on the corner. The elastic pocket in the big red piece no longer snaps into the lining on one side. There are a few small scuffs on the set. 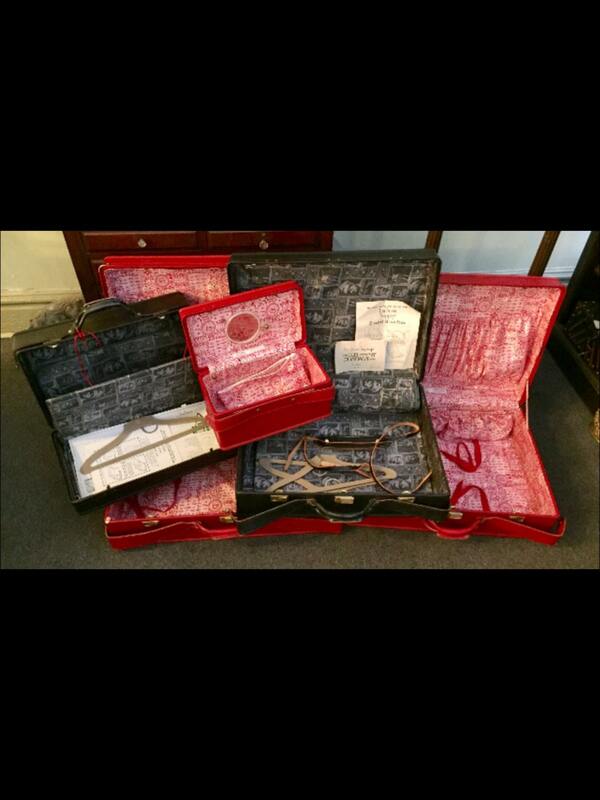 This would be perfect for the stylish jet setter. 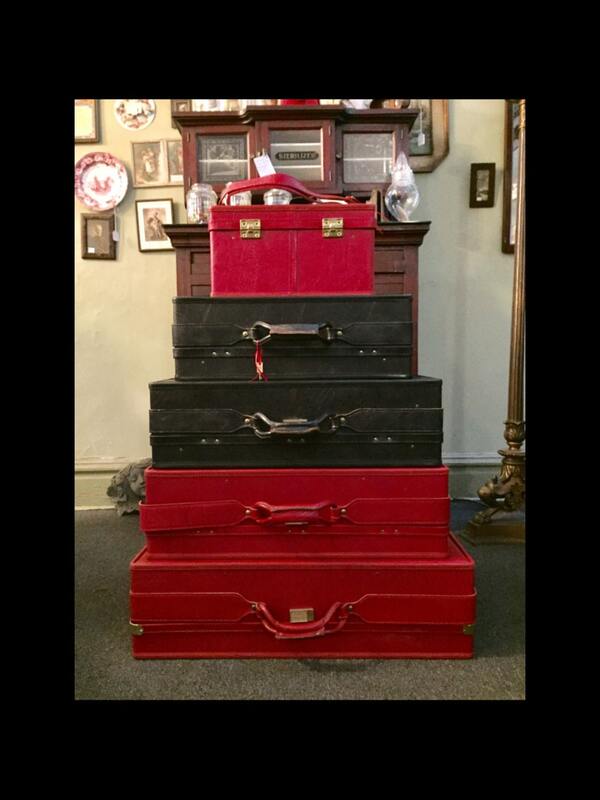 29" x 21" x 8 1/2"
26" x 19 1/2" x 8"
21" x 12 1/2" x 7 1/4"
15" x 8 1/2" x 8 1/2"